Teams of two are in a mad dash against their opponents in this inflatable! 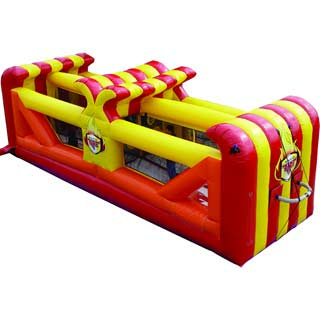 In this inflatable novelty, teams of two players start with four balls per lane, 16 balls total. When the referee blows the whistle, each player is in a mad dash to pass their balls through the holes in the netting separating their opponent across from them.